Some people are naturally in tune with green. 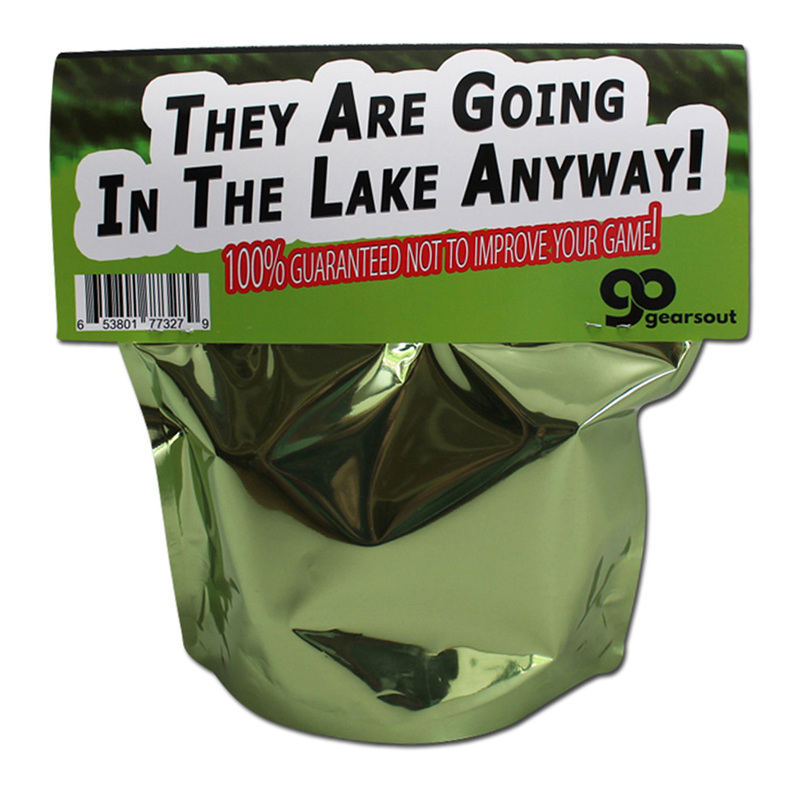 Watching them golf leaves you in awe – how do they do it? Such talent. Such grace. Crappy Golf Balls for a Crappy Golfer are not for these rare creatures. Our Crappy Golf Balls are for those whom are less charismatic on the green - the kings and queens of the Sand Trap. 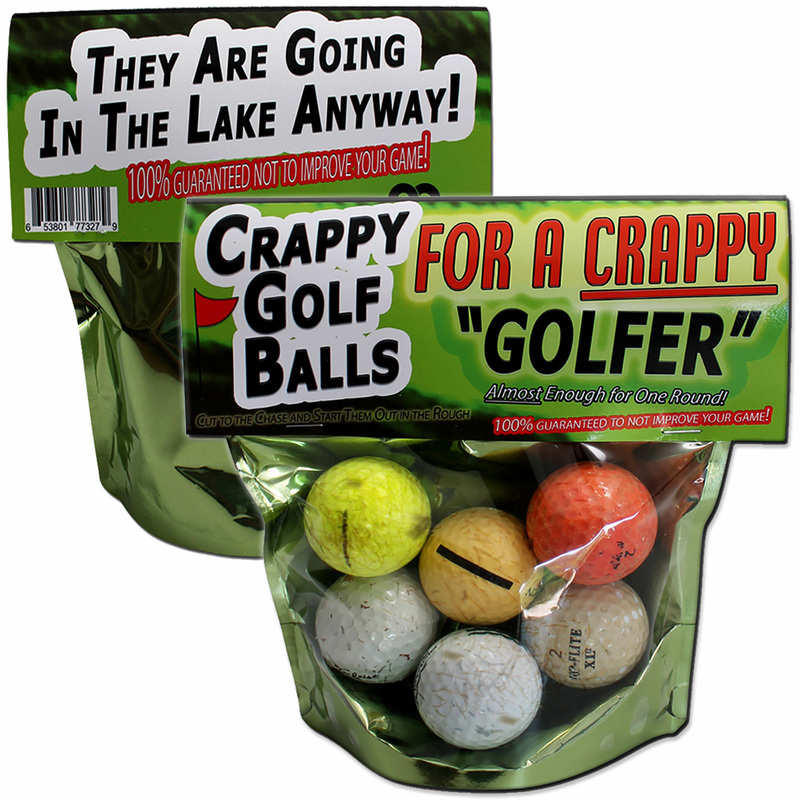 Those whom know the soul-crushing plop of another ball landing in the pond – truly CRAPPY golfers. 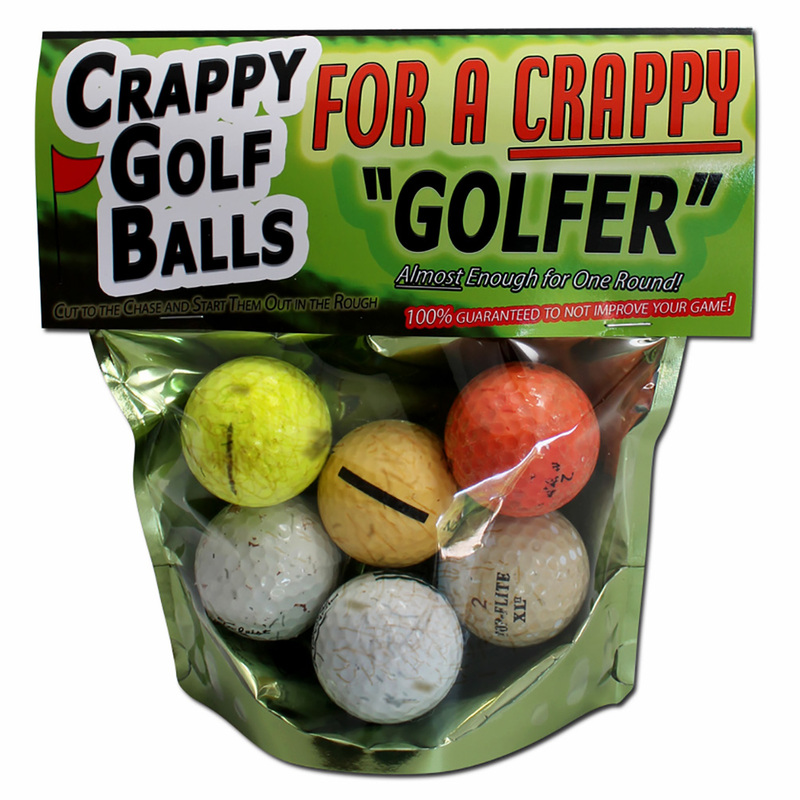 Crappy Golf Balls for a Crappy Golfer are designed to eliminate a little frustration by not losing yet another set of brand new golf balls to the hazards around the course. They dare cut to the chase and start out in the rough, so to speak. ALMOST enough crappy golf balls for one round! 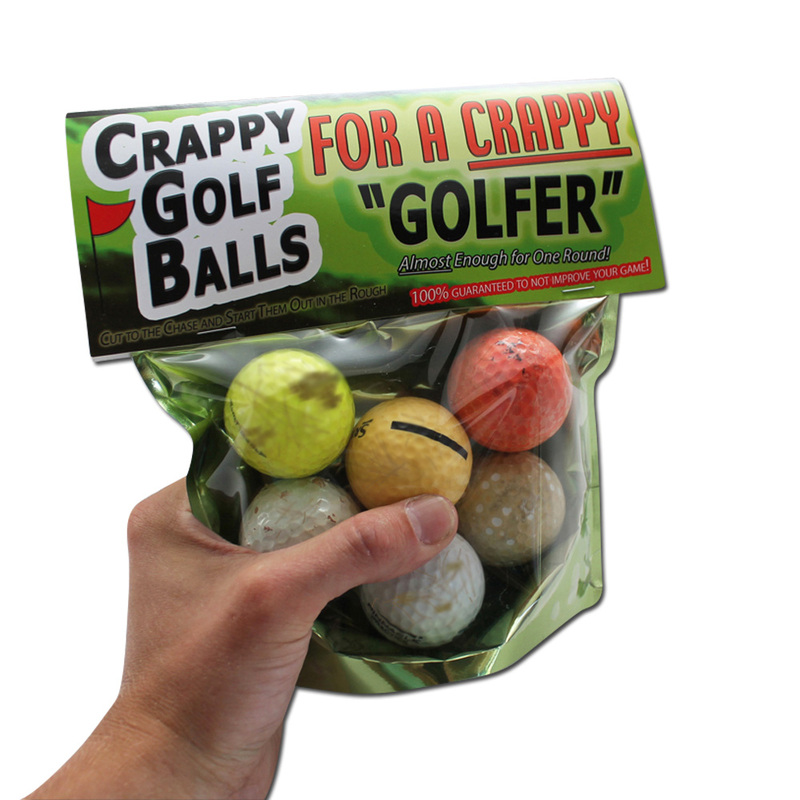 Your crappy golfing buddy will enjoy the inner comfort of far less pressure to have even the most average golf game, because these balls lower any expectations of a great game right from the start.